We can remember the almost electric excitement when Molton Brown first opened their doors on London’s South Molton Street in 1973. Back then, Molton Brown was a hair salon – beloved by Vogue editors, fashion figures and would-be natural beauties who went for a) great natural styling techniques (during a synthetic craze), and b) to seek out Molton Brown’s pioneering collections, hand-blended from botanical and marine extracts, which were really the first of their kind. Products were literally made on the kitchen table, originally, in a 16th Century cottage in Hertfordshire. Success meant Molton Brown soon had to move on from the kitchen table – and since then, this so-British name built a global reputation for fine fragrance blends and top-to-toe pampering treats: eaux de toilette, bath and shower gels, lotions and hand care treats (which can be enjoyed in all the smartest hotel washrooms). Who doesn’t love Molton Brown Orange & Bergamot Hand Wash and Enriching Hand Cream? Or the multi-award-winning Black Peppercorn Body Wash: such a brilliant wake-up call for the senses, with its nose-tingling grind of spices, that it became an instant bestseller on launch in 2002. And when Molton Brown introduced ylang ylang from the Madagascan rainforest into their now-classic Ylang-Ylang Body Wash, back in 1996, Vogue hailed it as ‘innovative and holistic’. 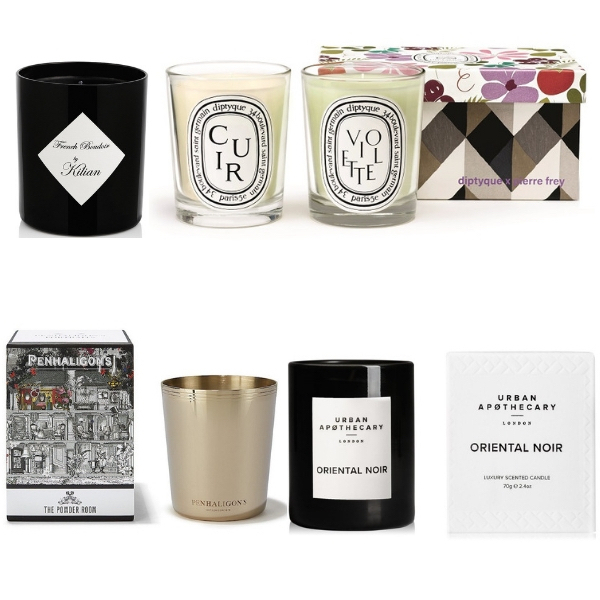 The candles and home fragrances, too, have become must-haves, in a wide selection of beguiling scents. Men’s skincare joined the line-up in 1985, with Molton Man. 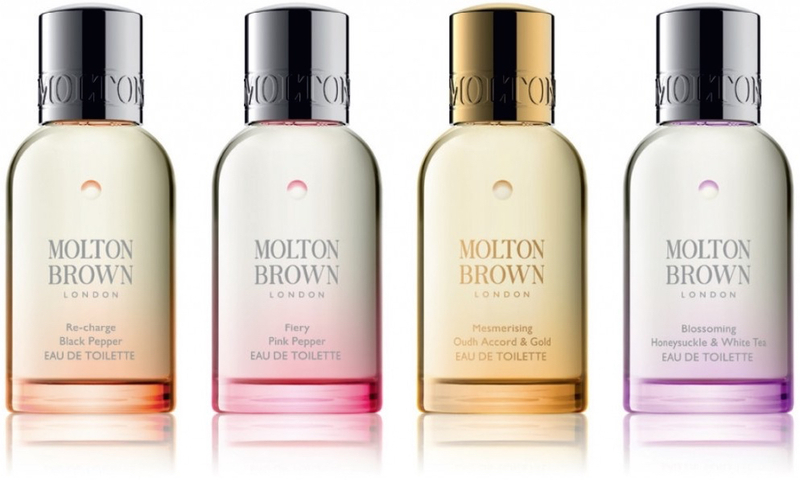 Molton Brown’s guiding philosophy is ‘London via the World’. In other words, ingredients – and inspirations – are sourced from around the globe, and blended in their home: London. As Molton Brown put it, they’ve been ‘Blending with attitude since 1973…’ Ever since then Molton Brown has remained dedicated to creating innovative scents – and which (this is what matters to us) are invariably heaven-scented. 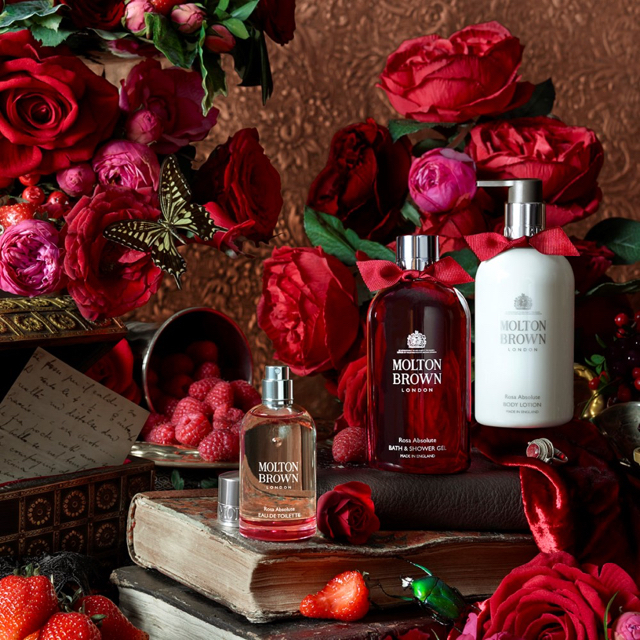 Most recently, and excitingly, Molton Brown has tapped into its fragrance heritage to create a stunning collection of eaux de toilette, several of which are designed to be ‘shared’. 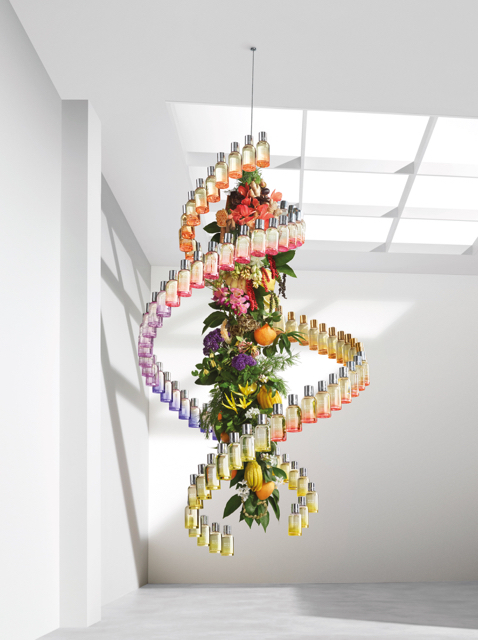 These were launched with utterly stunning imagery: you can see some of it here, including (above) the botanical sculpture fashioned from fragrance bottles. 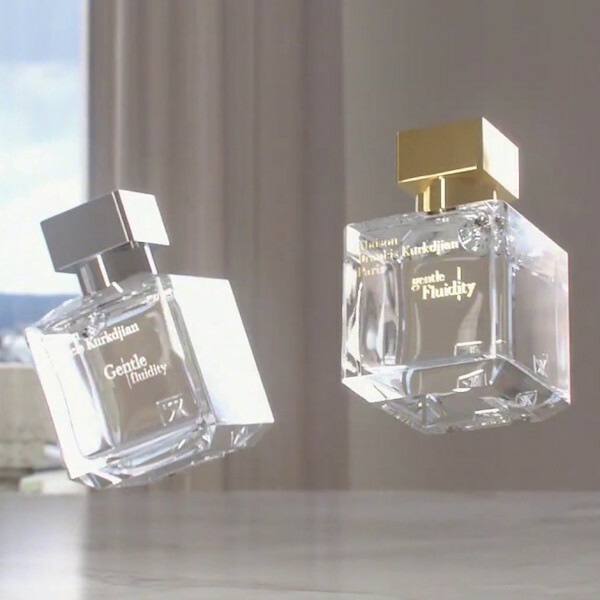 The eaux themselves, meanwhile, were created by renowned perfumers, including Shyamala Maisondieu, Philippe Bousseton, Jacques Charbert and Carla Charbert. Ylang-Ylang is the work of the legendary Jacques Charbert, who observes: ‘Rich and floral on top, spicy in the middle and warm in the base, ylang ylang oil is almost a perfume in itself.’ To this exotic flower, he added petitgrain lemon oil for freshness, bergamot and chamomile Roman, complementing the cardamom with jasmine sambac. And in 2016, the intoxicating Rosa Absolute joined the line-up of eaux: a voluptuous, sense-drenching blend of Italian rose oil alongside blackcurrant and patchouli. You can discover the fragrances below – and in the Molton Brown Art of Fragrance Discovery Box which we’re excited to introduce to you here.